CLEMSON -- Dabo Swinney and his coaching staff haven't been very bashful this spring when talking about the weapons they have ready to fire. In fact, this goes back to last year’s spring camp when midyear enrollees Justyn Ross and Trevor Lawrence stepped onto Clemson’s campus. Lawrence was in the midst of an already heated quarterback battle. When watching practice, you could tell he already possessed the physical tools to be an outstanding quarterback from day one. 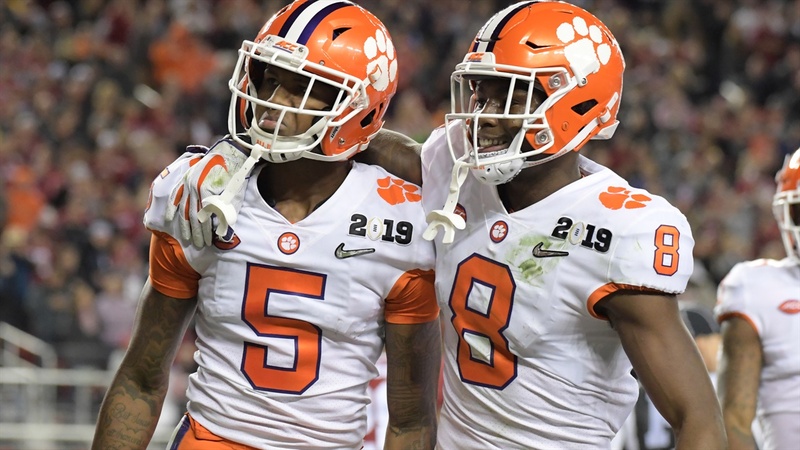 But what co-offensive coordinator Jeff Scott noted early on was just how well the incoming freshman was able to handle regurgitating the playbook, which Xavier Thomas reminded us Monday is not the easiest thing to do.